After registering with RS Components and Element 14/Farnell on the launch day of the Raspberry Pi way back in February I can finally report that the second of the Raspberry Pi’s have been delivered today. This was just in time as one of the those which I ordered I was giving to a friend of mine – Andreas Ronge (@ronge). Here is a wee photo of our excitement of the first boot up of our Raspberry Pi. I have been waiting for this moment for months and was worried that I wouldn’t receive the second Raspberry Pi in time. The best bit! Andreas didn’t even know he was getting one! It was a compete surprise! Wasn’t it! Anyway we are both now enjoying our first foray into the world of Raspberry Pi. Although, thanks to the blogs, wiki’s and YouTube articles the downloaded Debian squeeze images onto the Level 4 San Disk SD cards worked first time without hitch. I’ll give a full run down of the setups used at a future juncture. For now! I’m just happy when a plan comes together. Where do I expect my use of the Raspberry Pi to go? Well there has been much play of the use of the Raspberry Pi to re-establish programming amongst youngsters in school and the need to bring back computing in school. This issue is different for those of us who live in Scotland as our education system never let go of Computing. In our junior school we teach programming using scratch and have done for a few years now. This is the most recent addition to programming within the curriculum. 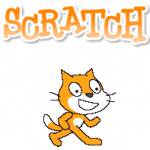 The raspberry pi can further help pupils play with scratch as can be seen on some of the youtube videos demonstrating Raspberry Pi. More traditionally most Scottish Secondary Schools teach Computing Studies at Standard Grade which includes an introduction to programming which includes sequence, selection and iteration. We use Visual Basic to deliver this element of the course. However we have previously used pascal, comal and basic in years gone by. At Higher, we further teach parameter passing, modular programming and simple searching whilst at Advanced Higher we study Searching Techniques, Sorting Techniques, File Handling, Record Structures, Classes, Polymorphism and Encapsulation and pupils create a project which encompasses some of these features. Many schools, like ours, elect to study the Artificial Intelligence and use prolog to allow pupils to develop their knowledge. Are we overly complacent about this? No! 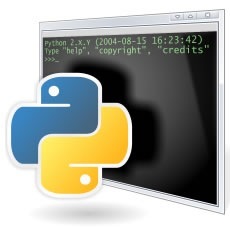 I’ve spent many hours learning python using these tutorials and others from MIT via iTunes U. Personally, this has been a very interesting learning experience but even knowing a lot about computing my main observation is that for a large number of learners there is a large learning curve. One of the other nice things is that the open source cross platform nature of python allows pupils to continue to develop their skills outside of school. This is a hurdle with respect to Visual Basic which we currently use. If pupils can program at home as well as school then we can further develop the curriculum beyond that which we currently offer. In that direction I’d like to start a Pi club which pupils could come to at school. Our curriculum is moving on… We have a new national curriculum, a Curriculum for Excellence, which is gong to take us a further step forward. Programming will increase in this new curriculum and the development of computational thinking will develop further. One of the further considerations which I have in this respect is given our finite allocation of time and what language should we teach. Yesterday, I attended the Learning Through Technology conference at Our Dynamic Earth by Holyrood. At this conference, I had a brief chat with a senior professor who shall remain nameless. Whilst computational thinking should be our focus rather than any specific language the reality is that the 14 Scottish Universities seem to rely on Java as their language of choice when is comes to teaching programming. This begs the question should schools be teaching this? This could potentially create a more coherent joined up approach to computing and allow the Universities to elevate their expectations and starting level to beyond the current benchmark but Java is not the easiest language to get started with conceptually for pupils. Is it within the reach of pupils to understand Java as a post scratch experience? And does this meet the needs of our curriculum! I have no answers at the moment but lots of questions. 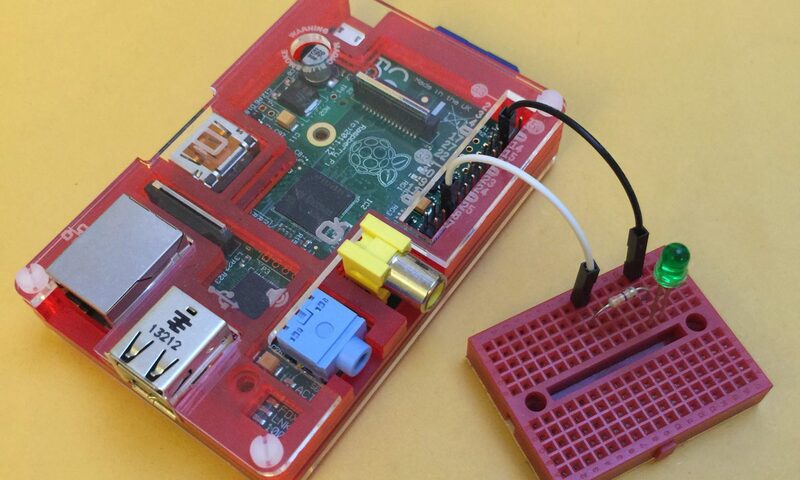 Will Raspberry Pi save us? I doubt it but that does mean that it’s not going to be fun to play with. There has been much talk and chatter about the long awaited Raspberry Pi and I can’t wait to get my hands on at least one of them! However, researching and dreaming of Pi can be almost as good as having some in my opinion. I have been dreaming and researching about many aspects of the Raspberry Pi and reading the blog and forum articles daily like many of a geek has been doing. To give you a flavour of some of my thoughts, I thought I’d do a post on “Preparing for Pi” in case you are at a loss of things to consider and research. A SD Card, I’ve checked out the wiki and have decided to settle on some class 4 cards as these seem to have the greatest chance of success judging by the limited information their. Again, I’ve decided on SanDisk cards and have bought them from Amazon in 16gb and 32 gb capacities. I ‘ll let you know how I get on with them. Incidentally, Amazon we’re about half the price of the main supermarkets and PCWorld etc. They even beat eBay. If they work I’ll update the wiki information. And if you haven’t watched the tutorials by Liam Fraser in YouTube search for RaspberryPiTutorials> then you should do so. He will show you how to put an operating system on your card. Accuratus – these keyboards are packaged with our school computers and have a really good response without breaking the bank! Microsoft – some Microsoft keyboards are better than others. some have a great response others not so great. I visited PCWorld and tried every keyboard on show. <a href=”http://www.amazon.co.uk/Emprex-6310U-Chiclet-Desktop-Keyboard/dp/B002T9U7Y4/ref=sr_1_2?s=computers&ie=UTF8&qid=1335391815&sr=1-2″>Emprex</a> – The Apple style keyboards are obviously in vogue. You easily get used to the flat low profile of the keyboards and the stylish looks. some of the copies are very plastic looking with horrible keys. The worry is you get what you pay for and that you waste money on a poor quality device. I’ve decided to go for one of the Accuratus 260 USB keyboards with a built in hub to see if they work. hopefully to at least power my mouse and allow my to use a powered USB hub on the other port for other devices. Again, when I get my set up running I’ll post my findings. I’ve also bought one of the cheaper Emprex keyboards and look forward to trying that too! Many of the ambiguities of setting up the Raspberry Pi will hopefully disappear as we learn from early adopters as they report on their setup. I’m happy to share my progress and look forward to seeing from others as they do the same. As a computing teacher, I love all new technology. Therefore the idea of a cheap simple honest computer which should be accessible to everybody excites me. For £22 you can get a PC which hooks to the internet and will run a simple operating system. Yet with the raspberry pi there is a retro feel to it too! Something which reminds me of my days of my first computer, a sinclair spectrum, basic raw computing power which you have to tussle with to help it to work. As the creators would like, I’d like to see this become a success. I’ve bought one, well added my name to the seemingly long waiting lists. I’m interested to see how this will develop but I like the large community following which it already seems to developed. I have watched many of the demos on you tube from the creators and others who are playing with python and linux distros to illustrate the kind of power that it will have. I have a couple of points though; whilst in England they dropped the teaching of Computing Science from GCSE in Scotland we have always taught Computing Studies, including programming (we use VB6), and at Higher we teach Computing which includes a lot more programming and our option is AI which includes prolog too. Taking the British perspective I think it’s important to illustrate this small difference which exists here north of the border. Also, how easy will it be for a youth to download and install the OS to a flash drive without access to another PC? This will determine how many of these devices don’t get used. To facilitate this I’d like to start a (Raspberry) Pi Club at school! We’ll just need to wait on the the devices being released in sufficient numbers. When you see a young guy on youtube. <a title=”http://www.youtube.com/raspberrypitutorials/ ” href=”http://www.youtube.com/raspberrypitutorials/” target=”_blank”>http://www.youtube.com/raspberrypitutorials/</a> developing some stuff in Python it does beg that question – do we put too many barriers in the way of learning? If he can do it on his own, what could our lot do with some help? But for this to happen you need to de-clutter the curriculum beyond that which currently exists. Anyway, I can’t wait for mine and I encourage you lot to get one too.